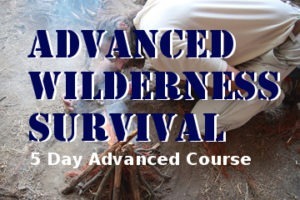 Advanced Wilderness Survival – Trail Blazer Survival School, Inc. 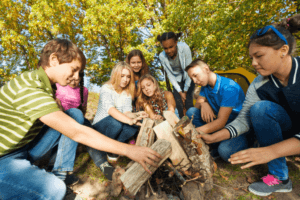 The 5 day Advanced Wilderness Survival Course takes students beyond survival, and into a state of self-reliance, fully capable of living long-term in the wild with nothing but your skills. This course is intended to prepare individuals to go out into nature and live for extended periods of time, but also is designed to prepare you to survive when rescue is delayed or absent. In a true survival situation there is no guarantee of rescue. 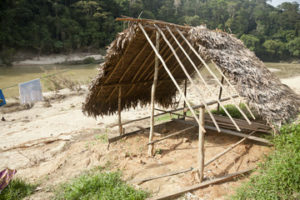 Primitive living is essential for long-term survival. This course requires that you have already mastered our "Applied Wilderness Survival Course" or received equivalent training. Certificates from other schools excepted on case by case basis. Please contact us. Our Guarantee, if you feel that we didn't cover a subject adequately you can receive a free voucher to a single day class that covers that subject. What to Bring?